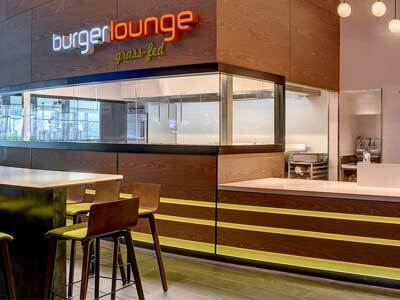 Burger Lounge has expanded into the Vegas area with its location at Aria. Featuring handcrafted burgers, organic salads, breakfast all day and luscious shakes and floats, Burger Lounge is a great place to stop for a quick but tasty burger. The guest orders at the counter and then the staff brings out your selection quickly. Ask for it to-go and you can eat outside at Aria, as this location is near the exit. The beef is 100% American, single source, and never frozen. There is a kids menu with a cheeseburger or chicken fingers and fries or salad. Located near the Poker Room, it is the only place to grab a quick burger in the casino.